(UPDATED, with Forum Communiqué). The International Bureau of Social Tourism (BITS, Bureau International du Tourisme Social) is organizing the Fifth European Forum of Social Tourism. On this occasion, the European Commission will be taking part. The event is organised by BITS and supported by the Spanish State Agency for Management of Tourism Innovation and Technologies (SEGITTUR), the Government of Spain and the autonomous Government of Andalusia. 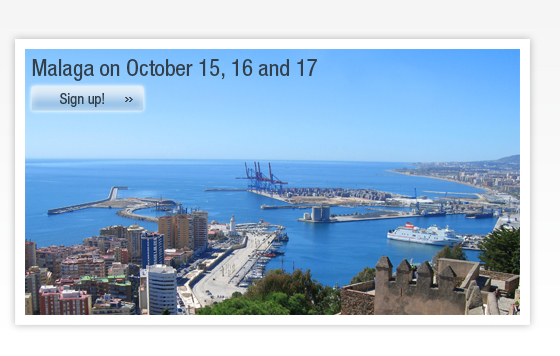 The event takes place on 15, 16 and 17 October in Malaga, Spain. The current economic crisis also affects tourism. For this reason it was decided that the Forum should focus primarily on the impacts and opportunities facing social tourism today and in the near future. In addition, the Forum will emphasize the plurality of the event, analyzing the current situation and the future of social tourism from a variety of angles comprising different groups: the elderly, the young, the disabled and the families. In addition, 2009 is particularly relevant for social tourism due to the implementation of Calypso, the preparatory action of the European Commission. Our Forum aims at being an open space for a variety of groups for discussing topics of interest to each, sharing experiences and analyzing the future to advance the development of social tourism. ENAT President, Lilian Müller is an invited speaker at the Forum. For further information and registration details, visit the Forum website. A Communiqué has been issued following the Forum and can be downloaded from the right-hand panel in English, French or Spanish. The communiqué notes, among other things, that a partnership agreement was signed at the Forum between the Presidents of BITS and ENAT in order to cooperate more closely on the questions of accessibility to tourism for disabled people. This agreement will be published on the ENAT and BITS websites in due course.